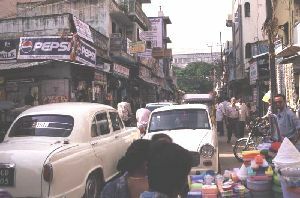 Lonely planet writes "Vellore, 4.5km from Chennai, is a dusty, semi rural bazaar town". Dust is really everywhere and noise too. I found the description in the book quite harmless. 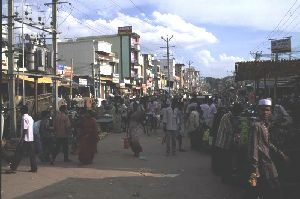 People in the streets are very multicolored: Hindus, Christians and Muslims, who come to Vellore to visit the CMC from all over India and beyond the national borders. The CMC trains 70 students per year. 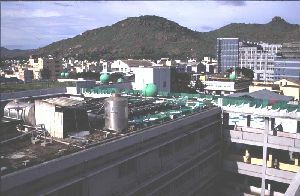 It is one of the best hospitals and Medical Schools in India with all specialities and a large out patients department. The language of instruction and communication of the physicians and nurses is English, even if the accent needs getting used to. I did my pratical training for two weeks in the department of surgery and two weeks in pediatrics. The unit I was posted on mainly deals with vascular surgery, e.g. many varicos veins and very many diabetic amputations and wound healing problems too. Twice a week there are operating days in surgery. Two further days of the week are reserved for the outpatient clinic (OPD), during those you see many "humps and bumps", hernias and of course wound healing problems en mass. OPD always is pure chaos, since several patients are partly examined at the same time on the smallest area. In pediatrics there are three days OPD, which are even more chaotically than in surgery through all the children. The CMC is well known for its successes in pediatric oncology [cancer treatment]. 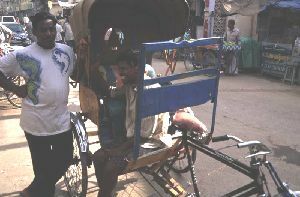 Here for there is an own OPD and ward. The other three days are rounds, which are very tyring. I could only undersatnd what was up by constantly inquiring. The main diagnoses were the most diverse pulmonar [lung] illnesses with particularly many bronchitises and empyemas [pus formation]. At the same time, when I was in child health, a Dengue fever [tropical illness transferred by mosquitos] epedemie was on its high in Vellore with the respective numbers of patients on the ward, some with tragic developements. Two days I spent in RUHSA, a remote out clinic, 50 km from Vellore. There you see the whole spectrum of the diseases. Each day is OPD and on several days there are minor operations under "primitive" conditions: cecarians, many tube ligatures [to sterilise woman] and hernias. Here I always could assist and with the tubes ligatures I could even take the skalpell and nedle houlder into my hands. All together the CMC is a very modern and well organized hospital for India, quite comparable with an european university hospital. The physicians have an outstanding knowledge, particularly ther abilaty to diagnose with few technical investigations. But unfortunately it was only rarely possible for me to integrate my self into the happening. Usually I was only a spectator.